Q-Connect Copier A3 Paper 80gsm White Ream (Pack of 500) KF01089 Pack of 1 Copier Paper. 80gsm smooth White paper ideal for your everyday copier and laser printing needs. Size: A3. Color Copy A3 Paper 100gsm White SNCC230100 CCW1024 (Pack of 500) Pack of 1 Color copy - the best sheet on the market today for colour copying. Ideal for low, medium and high volume production on colour copiers and colour laser printers. A3 100gsm. 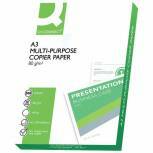 Color Copy A4 Paper 120gsm White (Pack of 250) CCW0330A1 Pack of 1 Paper for perfect colour copies. Vibrant, clear results. Reduces ink blot for quality. Perfect for creating leaflets, posters and flyers. Provides clear, sharp prints. Xerox PerFormer A3 Paper 80gsm White Ream (Pack of 500) 003R90569 Pack of 1 Good quality copier/laser paper for general office use on laser printers, inkjet printers and copiers. EU flower certified product. 145 CIE whiteness. Size: A3. 80gsm. 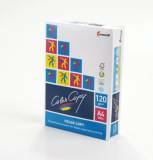 Color Copy A3 Paper 120gsm White (Pack of 250) CCW1030A1 Pack of 1 Paper for perfect colour copies. Vibrant, clear results. Reduces ink blot for quality. Perfect for creating leaflets, posters and flyers. Provides clear, sharp prints. 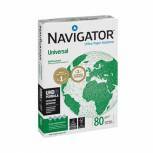 Navigator A3 Universal White Paper (Pack of 2500) NAVA380 Pack of 5 Navigator Universal Paper A3 80gsm White Ream NAVA380.A multifunctional paper for use with all mono and colour office equipment. Superior smooth surface for improved print quality and reduced office machine downtime. Q-Connect Premium Copier/Laser A3 Paper 80gsm White Ream (Pack of 500) KF01425 Pack of 1 Q-Connect Premium Copier paper. Quality, 80gsm, high White, paper with excellent runnability, ensures good consistent results. Suitable for all your copier and laser printer needs. Size: A3. Xerox Premier A3 Paper 80gsm White Ream 003R91721 (Pack of 500) Pack of 1 Xerox 003R91721 A3 Premier paper 80gsm. A high white, top quality A grade premium office paper. A totally versatile paper which adds the finishing touches to your documents. Ideal brightness and smoothness. For laser and inkjet printers and copiers. Copier Bond A3 Cream Pk 500 Pack of 1 Image Coloraction is an FSC® certified range of tinted papers from pale to dark tints, guaranteed for use with inkjet printers up to 120g/m2 and desktop lasers up to and including 160g/m2. Xerox Premier A3 Paper 90gsm White Ream 003R91853 (Pack of 500) Pack of 1 Perfect for use in high volume, high speed, copying and printing. The ideal paper for everyday use through inkjet printers. A3 90gsm. Evolve White Everyday Recycled A3 Paper 80gsm 500 Sheets (Pack of 500) 3613630000554 Pack of 1 100% recycled copier paper for office use (80gsm). High opacity for clear text, even when printing on both sides. Size: A3 (297x420mm). 1 ream of 500 sheets. Xerox Colotech+ A3 Paper 90gsm White Ream 003R98839 (Pack of 500) Pack of 1 Xerox Colotech plus is the ultimate paper for your printer/copier. It is a smooth super calendered uncoated high White prestige paper designed and developed to match all the requirements of colour and high speed printing/copying. A3 90gsm. Xerox Colotech+ A3 Paper 100gsm White Ream (Pack of 500) 003R98844 Pack of 1 Xerox Colotech plus is the ultimate paper for your printer/copier. It is a smooth super calendered uncoated high White prestige paper designed and developed to match all the requirements of colour and high speed printing/copying. A3 100gsm.